Please note this is only for the location Downtown on 5th Avenue. 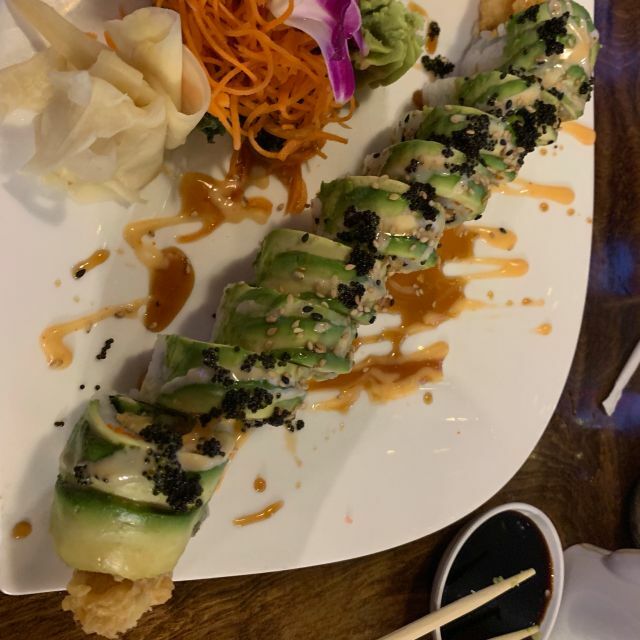 Sushi-Thai, located in Naples, Florida, serves a variety of Asian fusion cuisine with a focus on Japanese and Thai fare. Each meal is made with fresh ingredients and bold flavors as well as authentic Asian cooking techniques. 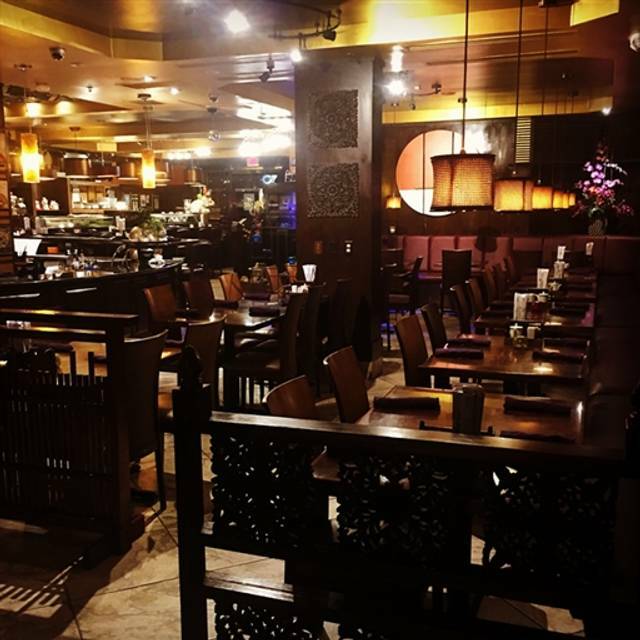 In addition to its full-service dining room, Sushi-Thai offers takeout services and offsite catering. Try the spring rolls or a bowl of soup to start out your meal at Sushi-Thai. Choose from over 40 varieties of sushi and sashimi or try one of the restaurant's other Japanese entrées like the chicken teriyaki. Try one of the authentic Thai curries which can be customized to your spice tolerance. The restaurant offers plenty of vegetarian, vegan and gluten-sensitive menu items as well. Great food!! Has quiet banquettes where you can have great conversation and food! Was there with a bunch of girls who all had different “likes” and the made each one whatever they wanted. Never a disappointment. Ive had better Gyozas but otherwise good. Delicious! I️ had the lobster roll. The kids had the fried rice and udon noodles. My hubby had eel Nigiri. Great service and great food! Food took forever. Never brought miso soup that was ordered but then included it on the bill (though took it off when we asked). Been here many times. Always good but this time they bombed. The panang curry is my favorite here but everything we ordered was fresh and delicious. Love the 5th Ave location. Our first time at Sushi Thai II and it was great. Our server was a very attentive, helpful gal and she didn't steer us wrong in our choice of meal. "Three Buddies" was really good and we'd definitely order that again. Will be back soon to have another taste of the sushi! Needs an renovation. Decor is dated. Absolutely amazing food! Will be back for sure! They also have a happy hour 3-6pm. Pineapple Hawaiian fried rice yummy!! Sushi rolls are huge! And filled with fresh fish! Just another average Sushi/ Thai restaurant that I would go back to but not out of my way for. A little on the expensive side. The server was very busy my cocktail didn’t come until our entrées. Food and service was excellent, as always. A little noisier than usual but I guess that comes with season in Naples. Top notch experience with every aspect. The sushi rolls were phenomenal!